Coltrane comes home, to find his deepest or his most far-flung self? Lloyd beat his addictions and became a follower of transcendental meditation. “chlarles soundscape is more global” explains pianist composer Jason Moran. How far out did John Coltrane go at the end? 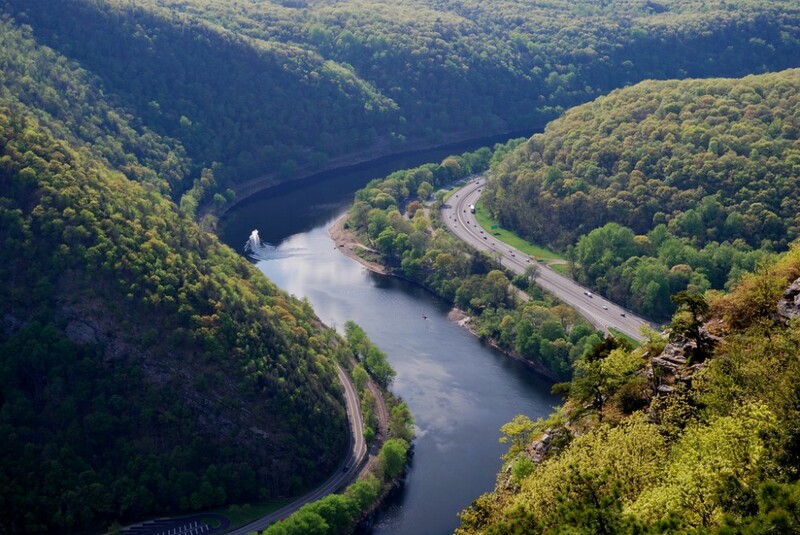 Or how far inward, to the depths of the universal, Emersonian self most of us rarely touch? Was his quest fueled by mere artistic restlessness or by a sense of how to face, or embrace, his own impending mortality? Such questions loom over this new release “the first officially sanctioned release of an undiscovered, complete Coltrane performance since 2005.” Indeed it bears the classic Impulse! Records logo and graphic layout, with the trademark orange and black spine, in an arrangement with Impulse’s owner, Universal Music Company. For those to fear to tread into the “free music” of John Coltrane’s late, post-A Love Supreme period, know that this 1966 recording includes three repertoire staples from his greatest popularity* and draws from a long talked-about bootleg taping of one of his last recorded public performances. This is a fascinating, powerful, sonically remastered document — with some unavoidable technical flaws typical of bootlegs — certainly for Coltrane fans and provides a vivid sample of the controversial period of his musical and spiritual questing to the outer limits of jazz aesthetics. The notion that he was digging to excavate his deepest self — and to reach old friends and family — is underscored by recounting Coltrane’s return to Philadelphia, the city he grew up in, and because his family’s house, in which his mother still resided, was a 10-minute drive from Temple University. This church jamming and Coltrane’s invitation to the percussionists shows how exploratory and experimental Coltrane became after the disbanding of his classic quartet with McCoy Tyner and Elvin Jones, who felt that Coltrane was straining hard against the limits of the post-bop modern swing vernacular. Their replacements — Coltrane’s second wife Alice on piano and Rashied Ali on drums — played in a manner that veered toward free tempos, which jettison the reference point of conventional swing. Those who recoil against the loosening of standards of jazz process and form might question Coltrane’s democratic openness to players seemingly incapable of the formal conventions of modern jazz. However, this recording, incendiary as it often is, shows that his own playing almost invariably maintains its inherent and highly developed sense of form, construction and inexorable forward purpose. In fact, few modern jazz players had reveled in byzantine harmonic structure with such blazing intensity as had the Coltrane of Giant Steps. Offering begins with Coltrane’s first solo on “Naima,” his signature ballad named for his first wife (albeit with his second wife playing piano on this recording). The melody however is evident immediately in the phrases of the saxophonist’s solo. But the recording engineer missed the opening statement of the beautiful tune, a construction of achingly wide intervals to very lyrical effect. The drumming sometimes surges to virtually drown out the piano, an apparent quirk of the recording balance because drummer Rashied Ali seems to playing with far less power as his predecessor Elvin Jones. Rather, Ali delivers a skittering, crackling freedom of rhythmic phrasing. And there’s also the pay-off: we do get at the end, the majestic theme restatement and sweetly transcendent ascending final line of “Naima.” Coltrane’s solo should tip the listener off that by far the most rewarding aspect of this recording is following, from this point on, this extraordinary musician’s line of musical thought and questing, regardless of what you make of the other soloists and accompaniment (his classic quartet bassist, Jimmy Garrison, was still here but another bassist, Sonny Johnson, is added). I’ll get to this central topic but it’s my reportorial duty to try to convey the sonic shock that concert-goes must’ve experienced especially when Pharoah Sanders soloed first on the second tune “Crescent.” “Crescent,” the longest track at 26:11, is the title tune from an album in Coltrane’s popular middle period, a shapely, yearning melody with phrase endings that resound with Coltrane’s masculine vibrato. But the first solo is from saxophonist Sanders and here’s where some listeners might get shaken. Sanders is up to something completely different from Coltrane, though the elder musician opens the door to expressionistic saxophone exploration. The unprepared listener might wonder whether such sounds could come from anything but an elephant in operatic death throes. An alto saxophonist named Arnold Joyner (another relatively unknown concert recruit) follows, striving to match Sanders’ unearthly free flying. Finally Coltrane solos and, at the 24-minute mark of “Crescent,” leads us to the tempered rapture of the theme via the sort of well-formed, if high-energy, solo he delivers throughout. But what of Sanders sonic onslaught? A receptive listener is likely to listen in wonder at the ceiling of sonic possibilities that he is battering himself against. To me, it’s almost like looking at the Sistine Chapel ceiling — if it were an abstract expressionist fresco. That may seem sacrilegious to tradition-minded art and music lovers, but throughout his career Pharoah Sanders has committed himself to this sort of ecstatic striving, which has an extremely lyrical side to it and thus befits my instinctive association to Michelangelo’s grandly beautiful evocations of humanity commingling with God in heaven. You hear that? Coltrane was hardly old at age 40, but his light would be extinguished tragically by liver cancer, on July 17, 1967. In this context, “Crescent” also nominally signifies a celestial body’s passing light and sounds as a masculine song of the heart, the rise-and-fall phrases are heart swelling, breath exhaling. It’s likely that Coltrane either confided to his musical acolyte about his liver cancer or simply could not hide deteriorating condition. But Sanders probably knew because Coltrane was growing increasingly sick and cutting back on his performances. 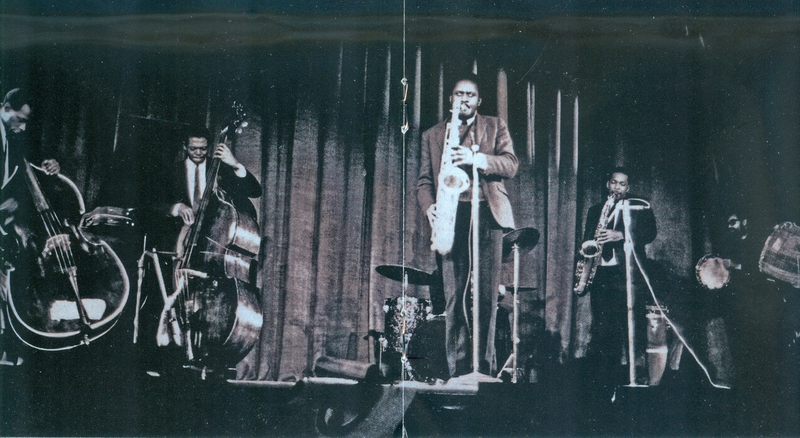 John Coltrane, in the background right, steps back for a saxophone solo by his musical acolyte Pharaoh Sanders at the Temple University Concert. Liner photo courtesy of Special Collections & Archives, University of California, Santa Cruz & The Frank Kofsky Archives. But as I’ve suggested, Offering is valuable ultimately for his extraordinary playing. So let’s “ride the Coltrane” for a bit. The focus should begin with his instrumental voice. Though Coltrane famously said he’d give his right arm “to be able to play sax like Stan Getz,” he had one of the most distinctive and pure saxophone voices in jazz. 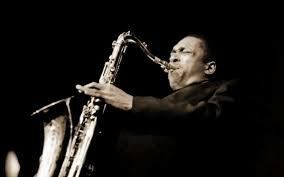 Though lacking Getz’s almost inimitable lyrical airiness, Coltrane’s tone possessed a steely songfulness that is familiar to many listeners, certainly from his huge 1961 hit “My Favorite Things,” which is performed at this Temple U concert, although in a thoroughly transformed manner. So even though Coltrane’s solo on the opening “Naima” begins by clearly quoting the melody’s intervals, it soon turns to wilder winds. But it’s important to have the actual thematic material of “Naima” in mind (one might go back to an earlier recording of the tune, on the Atlantic album Giant Steps) as one begins listening, due to the missing opening theme statement. Even in the almost ravaged intensity that Coltrane reaches, most of his phrases end by referring to the melody or harmonic structure of it. Finally those references emerge from the fiery woods he has led us into. Yet what’s evident certainly as he states the melody of “Crescent” is the hard-earned eloquence, particularly in how he uses his incantatory yet not over-played vibrato, even as he is repeating phrases and reaching into a sonic stratosphere. Then Sanders unleashes his aural torrent. I’m hard-pressed to detect a formal logic or melodic reference in this solo — it’s more an experience really, though the honking at about seven minutes has a strange “calling” quality. The same might further be said about Sanders long solo opening “Leo,” which nominally is more abstract as a projection of a lunar sign. So the solo might be understood as an aural trip akin to say the mind-bending light-show trip to Jupiter in Stanley Kubrick’s groundbreaking science-fiction film 2001: A Space Odyssey. The film “trip” admittedly is far more aesthetically pleasing. Here’s where a recent critic of the album like Geoff Dyer might appear to have ground to stand on for his assertion that this late phase is a “catastrophic” mistake in Coltrane’s career. Yet the moment Coltrane puts the horn back in to his mouth, the almost unearthly beauty of his cry predominates, even as he pushes himself to extremes of expression. I understand this as an extension of everything he had worked on over his whole career, as a virtuosic, intensely committed artist of the saxophone with few peers who influenced several generations of musicians for reasons both musical and spiritual, for better or worse, as it clearly led to much ensuing instrumental indulgence. The strange beauty is clearly evident on the brief, serene title piece “Offering,” and on the closing “My Favorite Things.” Here we hear by far Alice Coltrane’s most compelling and transporting piano solo, drawing from both predecessor McCoy Tyner’s modal language — here swirling more than Tyner’s cascading style — and from the inherent lyricism of the Rodgers and Hammerstein song, even if it seems light-years away from The Sound of Music. 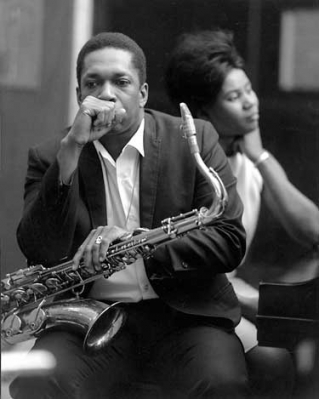 John and Alice Coltrane. Photo coutesy of lounge.obviousmag.org. Almost invariably I am deeply moved and impressed by Coltrane’s playing, no matter how far out it gets. I see it as appreciable, fearless musical climbing, what bassist-singer Jack Bruce once termed “Rope Ladder to the Moon.” I understand Sanders playing as growing roughly through the very gracious accommodation of this master musician. And if Sanders here lacks the lyrical side that he’d soon be also known for, I hear him both feeling his Afro-centric oats and adding an extraordinary expansion of the language of jazz, admittedly to its outer limits. So this is music for the intrepid or for those searching for artistic possibility, for inspiration beyond the norm, something we should expect and desire of the artists who might reveal the myriad voices in music’s vast realm of the verbally inexpressible. *Regarding Coltrane’s popularity, it’s interesting to note that the editor whom I first pitched a review of this album to turned it down. Perhaps he thought that Coltrane’s time had passed, and that he was now mainly of interest to only jazz aficionados. And yet this album of admittedly challenging music is currently ranked number two on the Billboard jazz sales charts, trailing only Tony Bennett and Lady Gaga’s chart-topping slingshot Cheek to Cheek, as I write, Oct. 4, 2014. It speaks well for Coltrane’s persevering name, at the very least. 3 Eric Nisenson, Ascension: John Coltrane in his Quest, St. Martin’s Press, 1993, 212. HEAR, HERE — perfectly framed, Kevin, and aptly illuminating — ‘Trane lives, even if only on Billboard for some of our sonic ‘unwilling majority”. Thank you, thank you, thank YOU. Phil, that means plenty to me, coming from you. Never saw Trane live but I saw Leibman with Elvin, and Grossman and Perla.